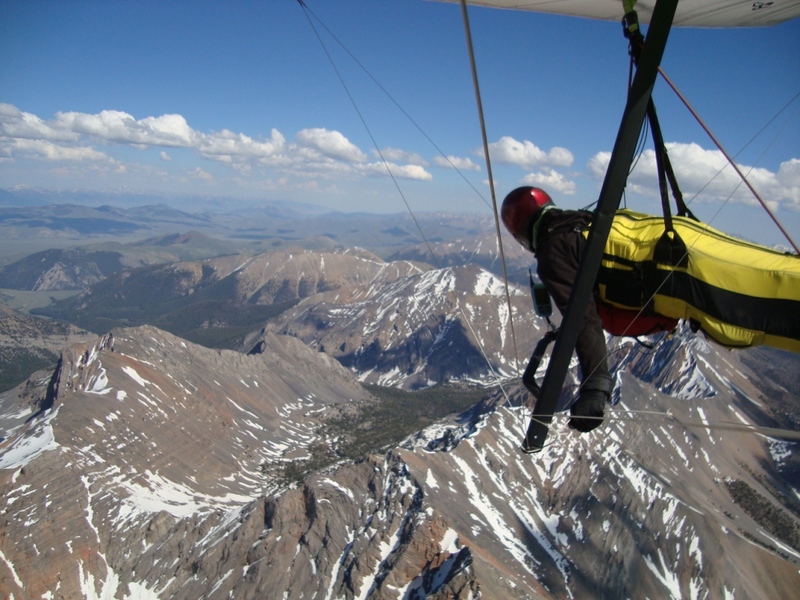 What is it like to fly a Hang Glider above Idaho’s highest peaks? We had many Cu’s as soon as 10:30am, and the operation started around 1pm. 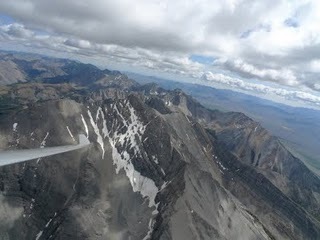 The cloudbase was a bit low (14,000 ft and 15,000 ft in some places) considering the hight of ridges (11,000 ft to 13,000 ft) , we had pretty good flights. I went north following the ridge in which King Mountain is part of, turned south, then jumped to a mountain area west of it. 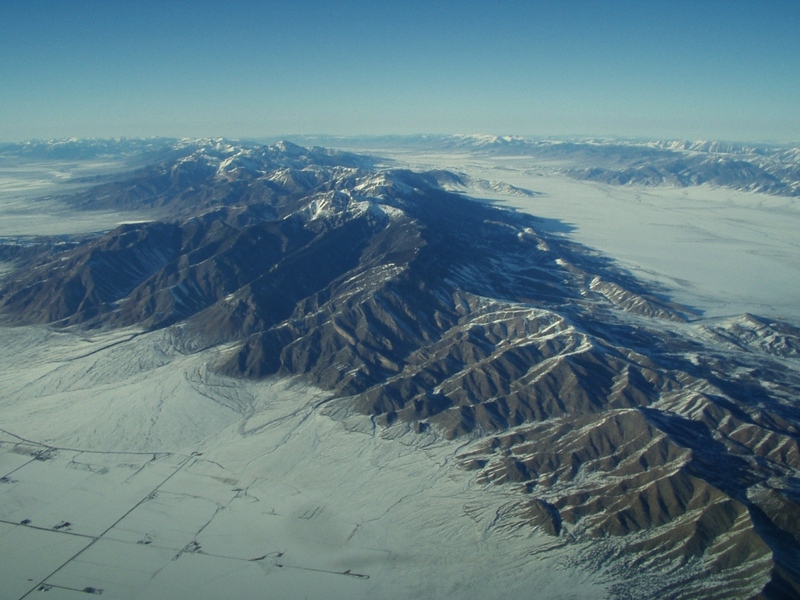 I flew over Sun Valley, headed as south as the mountains took me, and headed east to go home. 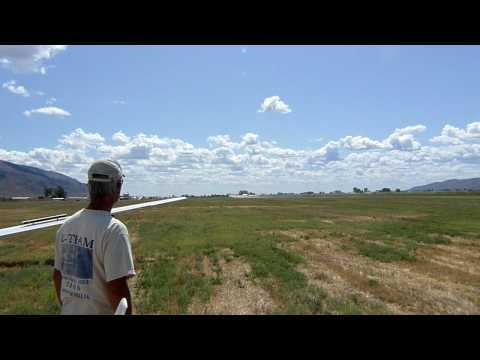 Gen’ s video of the first sailplane being towed at King Mountain. 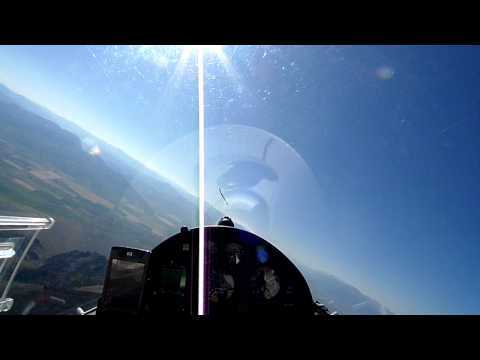 Tow Pilot-Hank Butzel in Piper Pawnee, Glider Pilots-Matt Gillis and Ron Hess in DG1000. Thanks John for the well organized event. I really enjoyed flying at King and am planning to come back again. As someone who is hungry for distance, this site did not disapoint me for distance potential and scenery. 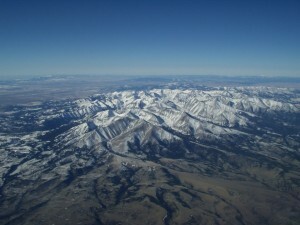 The scenery is one of the best I had seen, and I am flying all over the country. 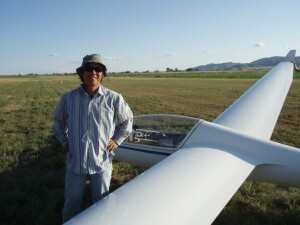 I averaged nearly 500km per flight in 3 flights, the longest being 636km to Yellowstone park and return. 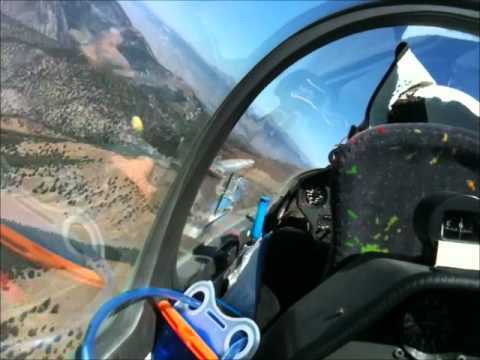 On the last day, I flew straight out west past Boise and landed at Homedale near the Oregon border.